A Great Team of experienced consultants. Gary has worked on photography and design projects since 2000 with Nokia, Helsinki University, The Finnish National Archives, The Finnish Literature Society and the Finnish Institute of Molecular Medicine to name but a few. In recent years he has worked in Nepal on a development project with the SEAM-Nepal bilateral cooperation with the Finnish Consulting Group (FCG International) the Finnish Environmental Institute (SYKE) and Tearfund UK. Gary has been the recipient of numerous international awards in craft, fine art and photography. These include the Japanese Inax Design Prize, The Finnish Arts Council Prize 2010, International Color Awards Photography Masters Cup 2010 and 2011, London International Creative Awards 2009 and 2012, Los Angeles Centre for Digital Art – Top 40 2009 and several awards in Travel Photographer of the Year. In 2013 he won Gold prize in PX3 – Prix de la Photographie Paris in Book category for his monochrome iPhone series on Nepal. After the recent earthquakes in Nepal, Gary initiated two relief programs, Tea to Hospitals and Moving Mountain School Bag. 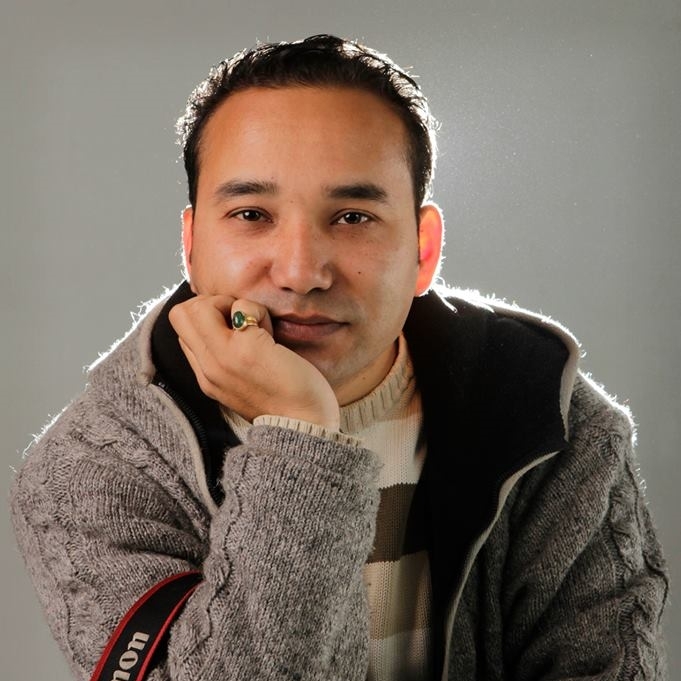 Pramod Karki is an award winning independent cinematographer and filmmaker. He has worked for Kantipur Television, shooting dynamic shows like, 'License to Drive", "Ghumgham", "Style Shaily", as well as worked in daily news coverage. He has hundreds of music videos to his credit and edited the "Sangharsha" series, a documentary on women from across Nepal, who led the movement for change in their own lives and influenced those around them. Karki also worked in India for Indian TV series, " Mano ya namano," for Star One and "Virrudh" for Zee TV. Karki was the cinematographer for a Nepal feature film, "Mala", released in 2015.
shot and produced some of the best commercial adverts in the country. skills include cinematography, editing and direction. Biken is Photography Workshop Coordinator and Photographer at Artudio in Swayambhu, Kathmandu. Rewati is a student of development studies and the initiator of the Moving Mountain School Bag project which has served school children in the aftermath of the earthquake. She started a documentary film company - Moving Mountain Pictures in the summer of 2015 after noticing the positive effect on funding Moving Mountain School Bag had through fast production mobile device videos. 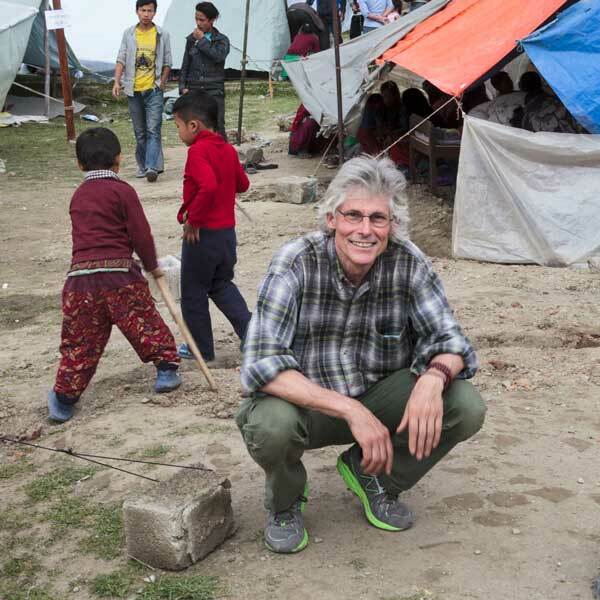 Moving Mountain Pictures aims to work with partners to create documentary videos to support development and relief work in Nepal in cooperation with Gary Wornell Studios. Rewati has worked as a researcher on wide area of women’s issues such as civic, health, education, pyscho-emotional and economics including left-behind women and children of migrant workers. She has worked as a research associate for Overseas Development Institute’s (UK) research project “Transforming the lives of adolescent girls and young women in Nepal” funded by DFID in collaboration Nepal Centre for Contemporary Research and University of Lapland project “Gender justice and women empowerment in rural communities in Nepal”. She has strong qualitative research skills and ground level experience and has been working in many part of Nepal. In August 2015 Rewati was selected and attended Helsinki University Summer School 'Gender, Culture, Politics' themed program. Shailaja is a native Newar with exceptional local knowledge a wide range of contacts in the Kathmandu Valley. She has worked with Gary Wornell since Kathmandu International Arts Festival 2012 on various projects. Shailaja's NGO - PowerfulHands has worked tirelessly after the earthquakes to provide aid and relief to communities worst hit by the shocks. Anmol is a native Newar from Kathmandu and a student of Bachelor of Business Studies. He also worked with KIAF in 2012 and has been logistics, lighting, technical support and scooter driver on GWS projects. Anmol also works as a volunteer with PowerfulHands in relief fundraising capacity and event management.